Spalling or crumbling brickwork can impact any brick wall, especially after a harsh winter in Toronto. Typically, bricks don’t crumble until after mortar starts to break down. If mortar is repaired in time, bricks can be saved. Mortar is more affordable and easier to replace than bricks. Still, spalling bricks can be repaired as well. It’s important to fix crumbling brickwork as soon as possible to prevent the problem from getting out of hand. 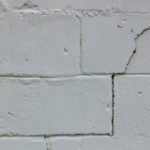 Spalling occurs when moisture gets inside bricks; expanding and contracting with temperature fluctuations in a process known as a freeze-thaw cycle. When this happens over and over it puts a lot of stress on bricks and surrounding mortar. Eventually cracks start to form and spalling happens. The term “spalling” is used to describe brick surfaces shedding their top layer—in other words, crumbling before your eyes. Unfortunately, you cannot glue bricks back together. Instead, you must remove spalling bricks and replace them with well-matched new bricks. 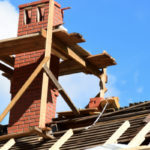 In some cases, you can turn around bricks so that they face the opposite direction, with the damaged portion of the brick out of sight and facing the interior wall. Regular and persistent freeze/thaw cycles, which are common to Toronto, put a lot of pressure on brickwork and the mortar holding it together. 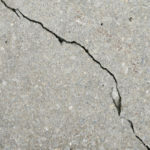 If you see cracks running through bricks or mortar joints it could signal structural movement, extreme moisture or temperature, issues with mortar, or tree roots growing nearby, just to name a few things. If these issues go ignored, cracks in bricks can eventually lead to crumbling bricks and larger structural damages. Some more serious underlying issues associated with cracks in bricks include foundation issues, unstable soil, and uneven weight distribution. Brick veneer sidings are prone to cracks in mortar joints, but rarely does this lead to spalling of bricks. Bricks that are not properly maintained are at a much greater risk for spalling. It goes without saying that improperly installed bricks are more likely to crumble than well-constructed ones. Say for instance, the mortar is too dense or high in cement content. If mortar is denser than the bricks it upholds, spalling is virtually unavoidable. It’s crucial to test original mortar before replacing segments of it. This helps prevent applying replacement mortar that is too dense and causes spalling. Overly dense mortar prevents bricks from expanding as necessary when moisture enters. As a result, bricks essentially become stuck between mortar and a hard place, leaving them trapped under pressure and destined to crack. Water repellant sealants take away the breathable qualities of brick. As a result, moisture becomes trapped inside, creating additional issues with freeze/thaw cycles, cracking, and spalling. First, we remove damaged bricks and subsequent mortar joints to an appropriate level, at least ¾ inches deep. The area(s) must be cleaned out so no loose mortar or other debris remain behind. The old mortar should be tested to create a matching replacement mortar in terms of content and color. 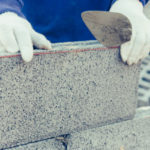 You may need to install new bricks, or, if one side of a damaged brick is still in good condition, you can reuse it by turning it around to face the opposite direction. 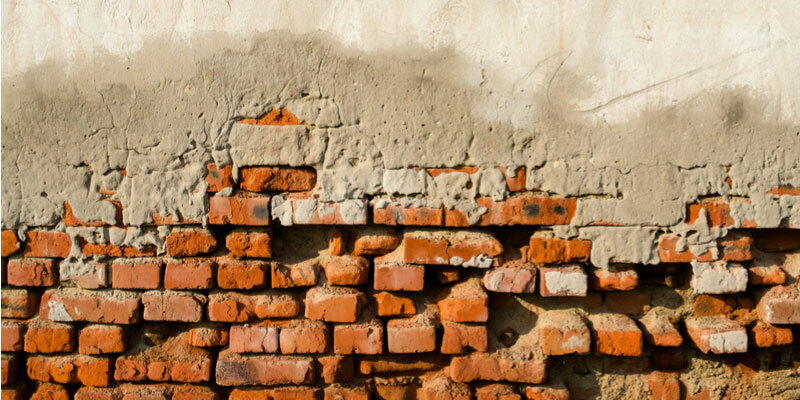 If you have crumbling brickwork and need it repaired, call Turnbull Masonry in Toronto today!